Welcome to this divine and perfect month of July. What I will be sharing today is from the inspirational, and powerful book of Esther. Whilst studying the book of Esther I learnt about the importance of prayer and fasting, the divine favour of God, the importance of making wise decisions, fearless risk taking, obedience, humility, faith and trust in God, and defeating the enemy. The enemy in the book of Esther is Haman. 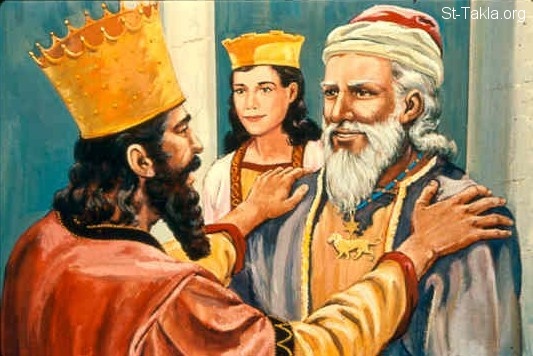 Haman’s hatred for the Jews began with Mordecai’s daring decision to refuse to bow down to the King, now bear in mind not doing so would have cost Mordecai his life, and many Jews would have given in, in fear of losing their lives, but Mordecai had a different character, he was bold, and he had a different type of faith, a type of faith that he was not willing to compromise. Mordecai obviously knew that his God was greater, and stronger than any other. Does this remind you of anyone else? 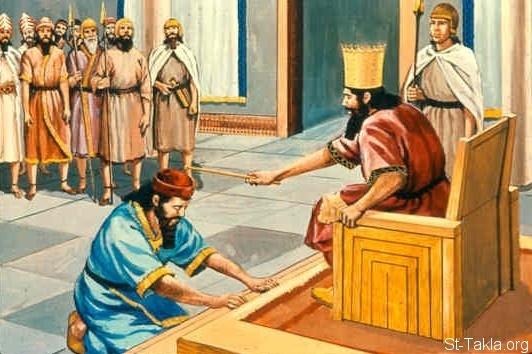 Well it most certainly reminds me of the great prophet Daniel, he to refused to bow down to a King risking his life in the process, yet his life remained untouched by the enemy. Read the book of Daniel to find out more. Mordecai and Daniel both have one thing in common and that is that they both truly feared God, and not man. So not only was Mordecai bold enough to refuse to bow down to any King, but he was also bold enough to reveal his identity. Wow, how many of us would go that far as to reveal that we are children of God even if our lives were at stake? Mordecai had unshakeable, and persistent faith, and he did not allow anyone to change his mind no matter their title or authority. This is a boldness that only comes by truly knowing who you are in Christ Jesus. Remember that the enemy will always lie in wait for your downfall. Never allow the enemy to change your mind, for the moment you do you become fearful of the enemy and not of God, now that’s deep. The enemy seeks to kill, steal and destroy lives, destinies, and the God’s perfect will/plan. The enemy is not satisfied until he has destroyed ALL not some but ALL, remember that there is no peace for the wicked, and that satan prowls around like a roaring lion seeking whom to devour. Therefore brethren, be vigilant and know that the enemy will always try but in the end he will always FAIL. God’s chosen people are unique, special, and set apart. They do not conform to the ways of the world, and that is something that the enemy cannot stand. The enemy cannot stand holiness, and he most certainly cannot stand the light. We are the light of this world, and therefore we have no business to do with darkness. Haman is very much similar to Judas, willing to destroy God’s plan with money, but you see that’s one thing that the enemy never seems to understand. It is true that one is able to sell their soul in exchange for money, but it is also true that, that same person will perish in hell fire for doing so, and that money will never last because you cannot destroy life and get away with it. Life is a gift from God it is precious, you cannot just take it away anyhow, because life belongs to God. The devil cannot touch the life of a man or a woman whom is rooted in Christ Jesus, and that is why when Judas attempted to destroy life in exchange for money it backfired on him. Christ did not lose His life nor did He lose His soul rather he resurrected, whereas Judas perished losing both his money and soul. The same thing happened to Haman, as we will see in the later chapters of the book of Esther. The moral of the story pretty much is, you cannot be an enemy of God and expect to live, such a person will always be defeated because they are agents of satan. Pray against the spirit of Haman, the enemy never gives up, the enemy is persistent and determined, he will go the extra mile, go any length, and to every measure just to witness your downfall. Pray that this shall never be your portion, that the enemy shall never be able to rejoice in reducing you to nothing. Men and women in high places have been given so much power by satan the prince of this world, to toy with the lives of children of God. Pray that your life shall never be in the hands of the enemy, but it shall be always placed in the Hands of God. Do not be afraid the enemy has no power over you. Remember that the enemy sends his agents to destroy, kill, and to wipe out, and if you give yourself to the enemy he will succeed in doing so. Therefore be vigilant, always watch and pray, this is an important instruction given to us by the King of kings and the Lord of lords. 13th December in that era was the date in which the enemy sought to destroy. I have noticed over the years that not all but most tragedies seem to happen during the winter season, and most especially before Christmas. The meaning of Adar is leap year, and we are in a leap year so my advice to every bible believing Christian is to really be discerning of the times, and to fast and pray. Brethren there is great POWER in fasting and prayer. Yes the Jews mourned, and they weeped yet they did not stop there, they responded with wisdom, they humbled themselves and fasted and prayed. They waited on the Lord, and they cried out to the Lord for help in unity, and brethren there is so much power in unity there is no way that the Lord will not respond when you humble yourself to fast and pray. Trust and believe that God will most definitely help you in your time of desperate need. The question is how desperate are you for the Lord’s response? The answer is evident in your prayer life. I like Mordecai’s character so much, he just keeps it real. 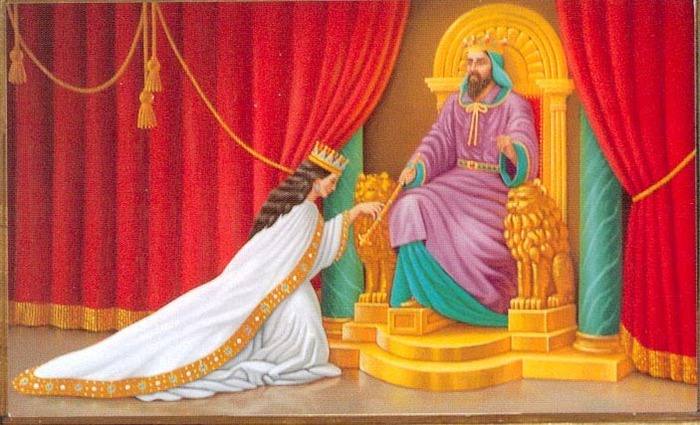 Despite Esther’s position as queen, and though he respected her he was not afraid to remind Esther of who she truly was a Jew, just like the rest of the other Jews whose lives were in danger. Mordecai ensured that Esther focused, and did not lose sight of what truly mattered to save the lives of her people, as she was now in a rightful position to do, God had wilfully given her that mandate. We all need friends like Mordecai, friends that will help us to not lose sight of the true picture, and that also encourage us to be bold and stand for truth, righteousness, and justice. Esther’s position as queen was divine favour from God, but just because she was blessed and highly favoured did not mean she was to stay silent, she still had to take action and deliver herself and her people. It is dangerous to become too comfortable as a Christian because satan never rests. If Esther became far too complacent in her position as queen that may have been the end of Esther and her people, isn’t that deep and scary. Brethren we must always be on guard and most importantly pray. Remember that the more faith you have the more blessings you will receive, and the more higher God will elevate you. When you have faith you have freedom. Mordecai’s advice to queen Esther encouraged her to be determined, bold, and strong, but in order to face the task ahead she would need strength from a higher source, and that came from no other than God Almighty. Esther humbled herself, she trusted God, and she obeyed, she listened, she was not prideful, she waited on God and refused to stay silent. In times of warfare brethren you must be wise, and you must not stay silent. Your mouth is your weapon use it to break through. Notice how Esther was not lazy, she did not call others to fast on her behalf no she fasted herself also, and she understood the power of unity. When two or three agree in fasting and prayer there is power. 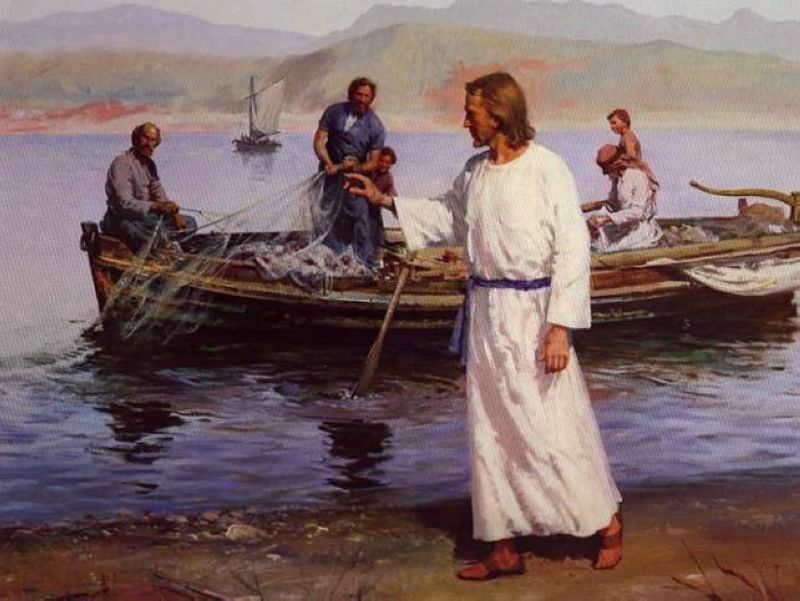 How many of us have gotten to that stage whereby we know and believe that God is our only hope, that there is no one that we can run to besides Him, and we know that we know that we know that we have nothing to lose once our faith and trust is in Him. When you have that type of faith then the impossible shall become possible for you, for the simple fact that you know God is the God that doeth hard things. Haman had a prideful/boastful spirit, he felt he was better than the Jews, he felt that he was bigger than them, but he was just deceiving himself. When Jesus Christ lives in you, you are always bigger and better. Esther made an unpopular decision, one that was to take everything away from her, her family, her wealth, her life, and the lives of others, yet she still made that unpopular decision for the sake of obedience to God. You see brethren most times in Christ Jesus, you will have to make unpopular decisions and this could mean you losing those dearest to you, or even the things that make you feel comfortable. Esther understood that her destiny outweighed wealth, her husband, or even her position as queen. Destiny comes from God, and once it’s gone it’s gone you cannot get it back, so make sure that you protect your destiny with your life, never allow anything or anyone to take it away from you, even if it means losing that someone or something for the sake of your destiny. Esther was strengthened and became bold enough to step out of her comfort zone, and speak once she prayed and agreed with others in fasting and prayer. Esther was no longer in doubt or afraid, she just went for it. Brethen there is only one thing similar about fear and faith and that is that they both make you feel uncomfortable. There is nothing wrong with feeling uncomfortable because in the process of being uncomfortable you are growing, and learning. It is best to choose faith over fear because God always proves our enemies wrong and assures us perfect victory. In this divine month of July, the Lord shall guarantee you divine victory in the Name that is above every other name, and that Name is none other than Jesus!!! Pray that the enemy shall grow frustrated at your time of breakthrough. Mordecai never compromised, he always spoke the truth which showed how fearful he was of God, and not of man. You will always be rewarded for your honesty, obedience, faith, and trust in Him. Lord shall reward you with double honour. You shall trouble the enemy, and he shall fall at your feet. Your enemies shall dig their own graves because of you, and the Lord shall cause confusion in their camps because of you. Who can fathom the divine wisdom of God, no one. 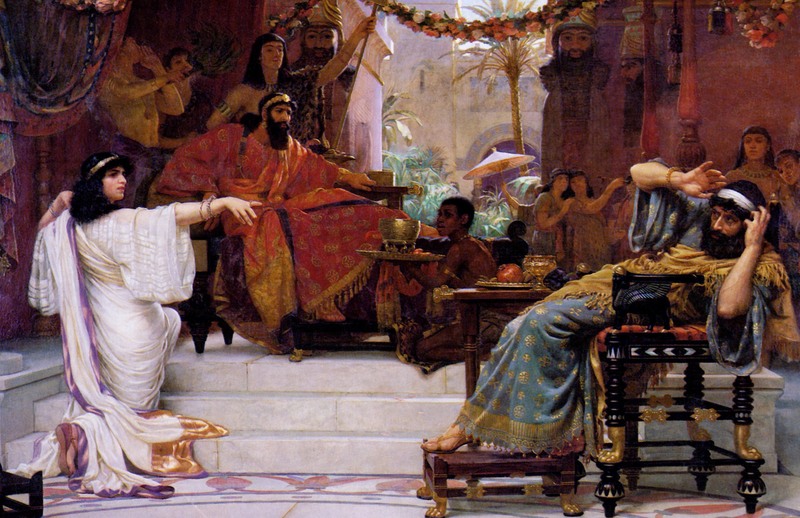 The funniest thing about the book of Esther is that Haman literally spent all his money, and wasted all of his time on preparing his own death. The Lord shall twist the plot of your enemies in the mighty Name of Jesus! The Lord shall favour you , and according to psalm 23 The Lord shall prepare a table for you in the presence of your enemies! The Lord shall disgrace your enemies and put them to shame, they shall mourn and not rejoice. Your Haman shall die in your place and you shall be undefeated because, you are a child of God. People will fear God’s power because of you. Just remember that there is always a way out with God, and you have just got to be bold, face the enemy, and rebuke the devourer. Pray for God’s divine favour. Also pray against anything that the enemy is planning against you it shall not work, nor prosper against you, instead it shall backfire. No one can raise their hand against you, no power no principality that rises against you shall be able to stand, and whoever raises their hand against you shall be condemned. No one can revoke God’s power in your life, pray against every evil word spoken against you that in the Mighty Name of Jesus it shall not stand! Tried in the fire but you are coming out gold. God shall favour you and transform you. He shall change your countenance, fill you with joy, uplift you, and no one shall overshadow you. You are a royal priesthood, and you shall be great. You shall defeat ALL your enemies not some but ALL. You shall become famous because of The Lord you serve, and the enemy shall tremble. Pray that God will grant your petition, and it shall be done/ accomplished. For He is The Lord that doeth hard things. He makes the impossible possible. God rewards boldness and faith. Fast and seriously pray and intercede for the sake of not only your life but the sake of your people, your family, your foundation also. Pray your way through, take risks, make tough decisions for the sake of your destiny even if it means making you unpopular, your destiny is your life and is more important than friends and even family. What may seem important to you is actually not but a distraction to your destiny. This is why you need to fast and pray so that you will have discernment in knowing what you need and what you don’t need in order to move forward in your life. For example it is not everything that is good that is necessarily good for you, brethren we are all different and therefore we all need to make different decisions at different points in our life in order to be where God has destined for us to be. I will finish of by saying have faith knowing that God almighty is with you. God will raise you up, be courageous and strong. Through Christ you shall remain undefeated. So pray, fast, fasting was the basis the fundamental foundation in the breakthrough of Esther and Mordecai, it was the sacrifice the humble denying of self that paved the way, opened the way, and made a way where there seemed to be no way, it made the impossibility possible. Trust God, step out in faith and after doing so you shall reap the rewards of what you have sowed. Amen, and enjoy your perfect season of divine favour.